You have likely heard of selling on value. Or maybe you know it as Value-based pricing. No matter what you call it, when you understand your value and can align your sales process to value — you will have a powerful way to grow your business. 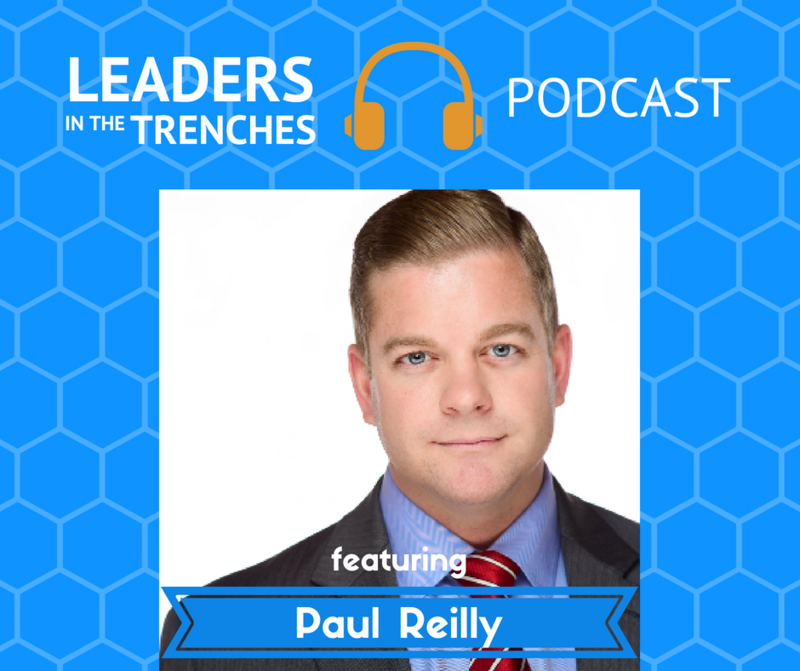 Paul Reilly is our guest who literally wrote the book on value selling. Paul and I talk about how to do it, why you must and the finer elements of how to sell on value. Target Audience: Paul Reilly is the founder and president of Reilly Sales Training. Paul has over 11 years of outside sales experience. Paul’s training methods draw from a diverse sales background. He has sold commodities, market-leading brands, and low-cost products; in the construction, industrial, and medical fields. He can relate to your salespeople because he has faced the same challenges and opportunities they face on a daily basis. Gene: Hi, my name is Gene Hammett. I am the host of leaders in the trenches. This is all about sales. My question for you today is what would it be like if you sold on value, not price? Yes. You’ve heard the conversation, the debate before, we should all be selling on value, not price, but we always default to price an absence of a clear plan to create value and have conversations for this, so I wanted to bring on an expert in this area. Paul Reilly has written a book on value based selling and it is something that I really think that you can get something for. We talked a little bit about some of the key points of structuring the meeting in leadership to get the most out of your employees. We added one little detail to that I think you’ll love if you want to engage your employees a little bit more and then also we talked about how to coach the performers in your business. Do you coach the underperformers are the over performers? You might be surprised by the answer because your time is very valuable. You want to make sure you use that very well. All right. Here’s the interview with Paul Reilly. Gene: How are you doing, Paul? Paul: I’m doing great, Gene. Thanks for having me on the show today. 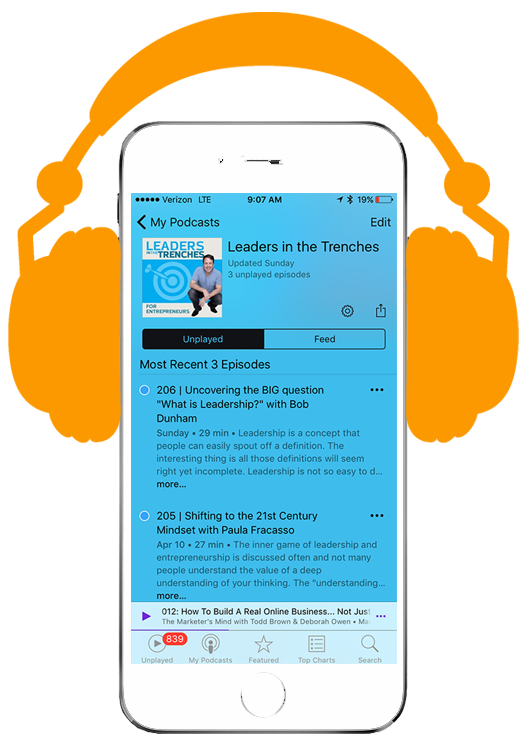 Gene: I’m very excited to talk about all things sales leadership with you, Paul, and I want to start off with a little bit about, tell them who you are and who you serve. Paul: No, absolutely. Yeah, so our company, Reilly sales training, we have one mission and that’s to help companies go out there and compete more profitably by selling on value and not selling on price and Gene, you’ve probably heard that before, but what makes us unique is that Tom, Reilly and myself, we actually wrote the book on it. We wrote the book on value added selling and that’s our goal. That’s our mission and so everything we do centers around that theme and we do it through public seminars, trainings, things like that. Gene: All right, let’s dive right in. When you’re talking with sales leaders and sales teams, what is the one word that they are looking for? They want more production, they want more revenue. What is the words they use and your world? Paul: I’d say most of the companies we work with, um, you know, we’re, we’ve built out that niche, right where we help companies deal with price objections and one of the biggest things is, is really giving salespeople more confidence in, in their value added message. You know, a lot of sales leaders we talked to say, Hey, you know, I’m hearing the conversations that my salespeople are having and they just don’t sound like they believe in what they’re selling. They don’t believe in the value. They don’t, they don’t think there’s anything different between them. It’s really a combination of confidence and attitude. That’s a big part of it. And another big piece is that, hey, you know, I feel like my salespeople know what to do. They have an idea, they understand the general principles, but they don’t have a process to really stream it all. And so I’d say, you know, confidence in the message and then having an established process to follow those really, uh, I’d say are the key. Um, you know, the key objectives of most of the leaders I work with. Gene: So Paul, let’s dive into this whole thing about process. I work with a lot of hyper-growth companies. I work with their sales teams and I’m not doing exactly what you do, but I get asked to look at the process and what I’m finding is most companies don’t have a set process. They feel like they’re very consultative in their approach or they have some other kind of flow, but it’s not set in stone. But I do find that within my own business and when I work with people to develop a clear process that there’s so much benefit out of that. What is your take on it? Paul: No, it’s very similar. And you know, I’ve got a couple of thoughts on why white is difficult. When you look at every other aspect of business, whether it’s, you know, you’re the financial discipline or whether it’s the management discipline, the operation side of it. I mean, every discipline of business has a process, but it seems like sales is the most unpredictable of all of them because you can do everything right and the customers just did a bad job of buying it. You can do all the right things in order, but sometimes it just doesn’t happen in that unpredictable nature. I think it causes us to question the process that we put in place and you know, when you look at the process and how we define it and value added selling is you first and foremost have to look at the way your customer wants to buy and we call that the critical buying path, right? It’s looking at how they want to go out there and buy your solution versus how you want to sell it and really that critical buying path is what should dictate your process. And so I think it’s a, it’s a couple of things that go on there, but I think the unpredictable nature of selling is a big part of that. Gene: On the flip side though, what happens when companies really adapt to that process? Paul: Oh, you. Well, you take an unpredictable scenario and you get more predictable results, right? It’s not going to be 100 percent, 100 percent of the time, but what you can do is identify some of the areas where you know you, you’ve struggled. I’ll give you one example. One organization we did some training with the sales leader as we present it. You know the value added selling process. One part of that is making sure you’re talking to all the right decision makers at all the right levels within the organization and when you look at that critical part of the sales process, we found that companies that don’t do that or salespeople that don’t do that is usually a big reason why they don’t win the sale in the first place. And the sales leader got up in front of the seminar and he said, Ladies and gentlemen, this is the reason we lose business right here. They looked at almost every major deal that they were going after in the previous and they said, it’s because we’re not talking to all the right people and all the right levels. And so to your point, I think that having that established process, once you see it, you start working through it, you can identify gaps easier, you can figure out what you need to avoid moving forward and it does give you some predictable outcome versus just having an, you know, the unpredictable part of sales where we don’t know what’s going on. Gene: I’ve noticed too, Paul, that one of the big benefits of having a specific process inside sales is the way it changes the sales meeting, the weekly sit downs with leadership and all of the people driving sales forward changes with that process. So let me ask you, what are the key aspects or the foundational framework you suggest for those sales meetings? Paul: So when, when they’re structuring their meetings with their salespeople in general, you know, with that piece, I, it’s always important to introduce some element of training in any meeting you have. Now. We’re a training company, so obviously we’re a little biased in that sense, but every time you’re getting your sales team together, that is an opportunity to develop them. Um, so training has got to be a big part of that and make it first make it one of the first things you do because we’ve all been in those meetings that last maybe five or 10 minutes over. And usually the last thing on the agenda gets tabled to the next meeting. Well, that happens to usually be the training side of it. So start with some training and then have your people share some success stories. Salespeople are competitive by their very nature and when they start hearing a success story from one of their colleagues, they’re going to do two things. Paul: Number one, they’re gonna, figure out a way how to duplicate that effort. And then also they want to figure out a way so they can share their success. And so sharing those success stories helps create some, some best practices and it also fuels the competitive environment with a sales team. Um, so introducing those two key elements and then obviously a pipeline review, you know, getting your team to tell you, hey, what are you working on, what stage are you at, and what are your next steps? And moving this, uh, you know, through your pipeline and so, you know, those basic elements I think really, um, really have an effective meeting and, and make it inspirational. You don’t get your people excited to kick off and end the meeting. Um, that way they’re leaving on a high note and they’re ready to go out there and execute. Gene: Never. I’ve never really thought about it like that. Paul, it’s a pretty interesting concept of adding training to it. Even though it’s a weekly meeting. Would you suggest that a manager or leader assigned a new person each week to bring something to train the others on? Paul: Oh yeah. A lot of companies we train their sales management, you know, they’ll kind of, they’ll kick off the training initiative. Let’s say, you know, you’ve got some sales leader listening in on this now says, okay, I’d like to get started with that. Well, maybe he or she will run the first few weeks of, of content and then you start assigning a, each salesperson, you know, that that might have a strengthened presenting or, you know, asking great questions. Whatever their strength is, have them teach, teach the group. And uh, one sales leader I worked with, he said, you know, the great part about forcing our people to teach this is that I’ve always found that to learn something like too deeply and truly understand something, you’ve got to teach it right to really understand it. And he said that that is what we’re doing with our salespeople, were forcing them to learn this so that they can go out and teach it to our people. Gene: One of the things I’ve noticed too is that when other people are involved in the training process or involved in the process period, they have much more, uh, attention to the detail. They evolve themselves, but also others are paying more attention because if they’re coming up next week or the week after, then they want to make sure that they’re learning from the structure and the framework that actually works for the business. What do you think about that? Paul: And people you know and they’re going to it. It’s a way for it too. For people to take it serious also. Right? It’s no longer checking a box, that point. It’s having your people engaged and come up with ideas. Gene: Paul, let’s switch here just a second. Keep the same theme of sales leadership, but let’s switch to the one on meeting. How do you best structure or organize a one on one meeting in a sales conversation so that people are getting the most out of it? Paul: Yeah, no it, you know, we believe that if salespeople report to you, your number one job is to be a sales coach for them. I didn’t and that means you’ve got to be out in the field with them at least once a month watching them in front of customers, but on that note also sitting down once a month and coaching them and uh, we actually have an in-depth value out of coaching review guide that we work with sales leadership on and it’s a basic template on how to review your business, right? The business with the salesperson, uh, through the value-added process. Just to give you a brief overview of what it looks like. Okay? Yup. Salespeople are, they have an opportunity that is usually in one or three phases in the presale phase, meaning they haven’t sold anything yet. Opportunities that are in transition that you’re getting ready to sign and then there’s opportunities that have been delivered, signed in and are now business partners with you. Well, if you have opportunities in each one of those areas, it’s important for the management and leadership to review those opportunities. With the salesperson at each stage, so when you sit down with a salesperson and you say to locate, let’s talk about three opportunities that are in the presale face, right business that you are working on, I didn’t ask him, Hey, first of all, why is this good business for our company? Okay, who, some of the key decision makers that are part of this process and how do they define value? What’s important to them? Um, who are we competing with and how do we stand out? How are we different than this, this other alternative? What are some of the small winds you’re going to focus on to progress that sail forward? And so the format is simple, right? You want to ask some questions to generate a good discussion with your salespeople. Paul: Now what will happen is the salesperson is going to tell you, okay, this is good business for this reason. I’ve talked to all these decision makers and here’s what’s important to them. They’re going to have some answers for you, but as the sales leader, they might look at you and say, well, gene, you know, I’m not sure what makes us different in this case, what do I do about that? And then as their sales leader and coach, you need to work through it with them and have some ideas on how to differentiate and then you repeat that for the other, you know, hey, what do you have it that’s getting ready to close? What business do you have and how can we support you as you close that business? And then finally, you know, what other opportunities have you been working on? Right? That our current customers, how can we, uh, further build that relationship? Paul: How can we find unique ways to recreate value for them? How can we leverage that into additional opportunities? The way we review it’s really more qualitative in that we want to generate a good discussion with a salesperson. Gene: So I’m curious about something. What are some of the biggest mistakes leaders make and trying to coach that sales rep? Paul: And I’d say the first mistake is that they just don’t do it. Um, I think sales leaders have a lot required of them these days when it comes to just reporting and the amount of data that they’re trying to process and review. The biggest mistake is just not to do anything. I’d say the second biggest mistake is that they only focus on what they believe is the weakest sales person on the team. Um, they look at some of the inexperienced, the newer salespeople, the salespeople that are really, really struggling. Paul: And they say, okay, I need to focus all of my coaching and leadership effort on these individuals. Um, the reality is everyone needs coaching. Everyone has that ability. I mean, you go on and watch, any PGA event, I remember I had a chance to go to the US Open last year. And on the driving range you have, you know, you’ve got Jordan Spieth, you’ve got Macro, you’ve got all these great players and right next to him you’ve got their swing coach and you’ve got their Caddy. So regardless of what level the salesperson is, you got to give them coaching. And in fact, our research on top achieving salespeople showed that they receive more coaching than the average salesperson. So it, the second biggest mistake is just not coaching the right people and avoiding that. The a player saying, hey, they got it. They know what they’re doing. Gene: So that reminds me of the old adage of the squeaky wheel gets the grease. And what you’re saying here is that some of your best performers with a little bit more coaching could be even bigger performers for the business and their growth will overall be time well spent. Um, one of the things, Paul, that when you know about my research on leadership, that activates a sense of ownership or feeling of ownership and people will say, in sales you have commissions, so you are going to make a lot of money, so you should just be. That should be enough. But I want to talk about how does sales leaders go be on the commission to get people to feel that sense of ownership and the pipeline that they’re developing and each deal as they carry that forward. Paul: Yeah. You know, that that is an interesting challenge because, you know, to a certain degree, yes, we are motivated by the money, right? The, the commission. And I worked with several companies that offered their people a straight commission plan, which is somewhat rare. You don’t see that as much anymore. And they always say, you know, our, our best sales manager as our comp plan, it’s our people aren’t, aren’t going to get paid if they’re not selling. Um, but that only takes you so far. Right? And when you look at ownership and how salespeople take the opportunities that they’re working in, and they, from the very beginning, they take this attitude that, hey, you know what? This is my opportunity. I’ve got, I have control. I have the ability to make this happen. You know, I think that sales leaders can remind salespeople, have that, you know, when, and also highlight the effort that goes into what it takes to win an opportunity, you know, in psychology they, they call that the endowment effect, or maybe you’ve heard of the Ikea effect where we place a higher value on things that we own, um, and they called the Ikea effect as well because if you purchase something from Ikea, you know, you’ve got to put it together. Paul: There’s all these pieces. The more effort you put into something, the more you own it, the higher value you place on it. And so to establish ownership in this case, you know, sales leaders should, should really remind people, the salespeople of the effort that goes into it, hey, you’ve been spending months on this opportunity. You’ve done this, you’ve scheduled demos, you’ve trained their people, you’ve done this man. This is your opportunity. You own it. I’m reminding of that is going to hopefully inspire them to take that ownership that they already have. I guess, you know, maybe that’s another idea on it. Gene: I always have a practical and actionable element inside all the podcast and I want to ask you the question based on what we’re talking about today and value added selling, what would be the very first thing that someone should do tomorrow? Thinking about value added selling inside their business. Paul: but if you tell your people, hey, we’re going to sell on value, but then you let them make that discount and match the competition. It goes against what you’re saying. It loses some of the momentum you’re trying to generate. All right? So clearly communicate and then have the courage to commit. That’s the key. Gene: I love it. Thank you Paul so much for sharing these wisdom with us and thank you for being a guest here at leaders in the trenches. If our audience wanted to follow up with you, get in touch with you, what’s the best way for them to do that? Gene: Well, I appreciate you sharing all that with us. Thank you Paul for being here. Paul: Thanks Gene. Have a good one. Gene: Well that was a fantastic episode. I really enjoy having some deeper conversations around sales for you because I find a lot of people that are in high growth opportunities have to continuously evolve their sales process. So Paul, thank you so much for, for giving us those insights about coaching. I definitely know the value of coaching because that’s what I do with my executive leaders that are in proving their leadership, but really great stuff. So hopefully you guys are taking this to heart. You’re actually taking notes and actually going to do something about it because if you continuously listening to this conversations and these interviews and you’re not doing something about it, it will eat away at you. And the flip side of that is if you will take one thing every time from an episode or once a month even, and really work on it and put it into your business and make it work for you, then you will look back on the information I create, the interviews we create here, uh, with much more fondness and you’re much more likely to share it. So, yes, I’m being selfish on this a little bit. I want you to get the results so that you will talk about it in that inside the world so that we can spread this movement of leadership. Well, that’s my piece here. Hopefully, you’re enjoying these conversations. If there’s anything else I can do for you, make sure you reach out. As always, lead with courage and I’ll see you next time.